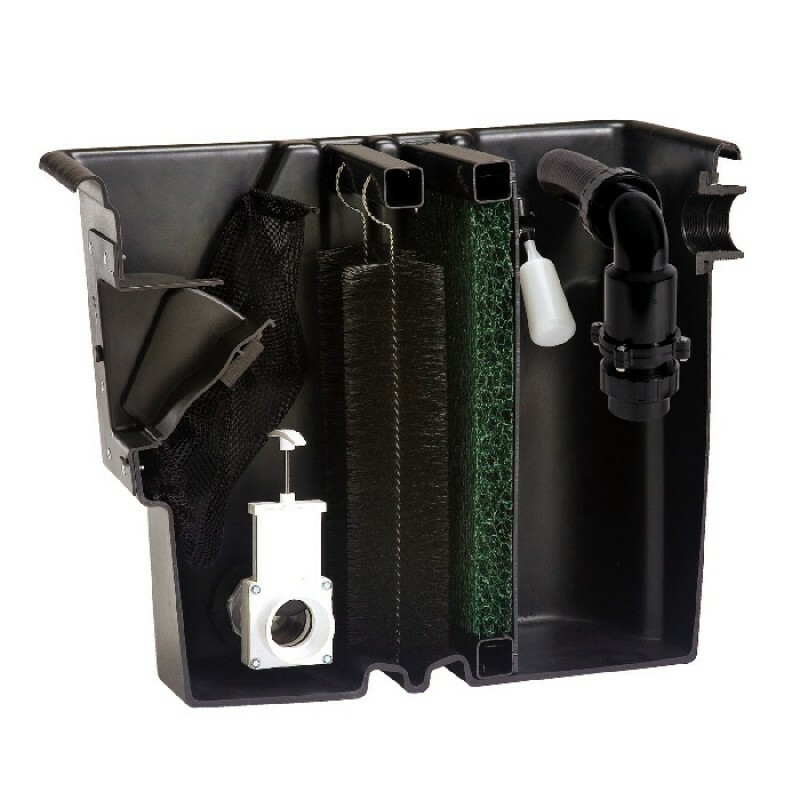 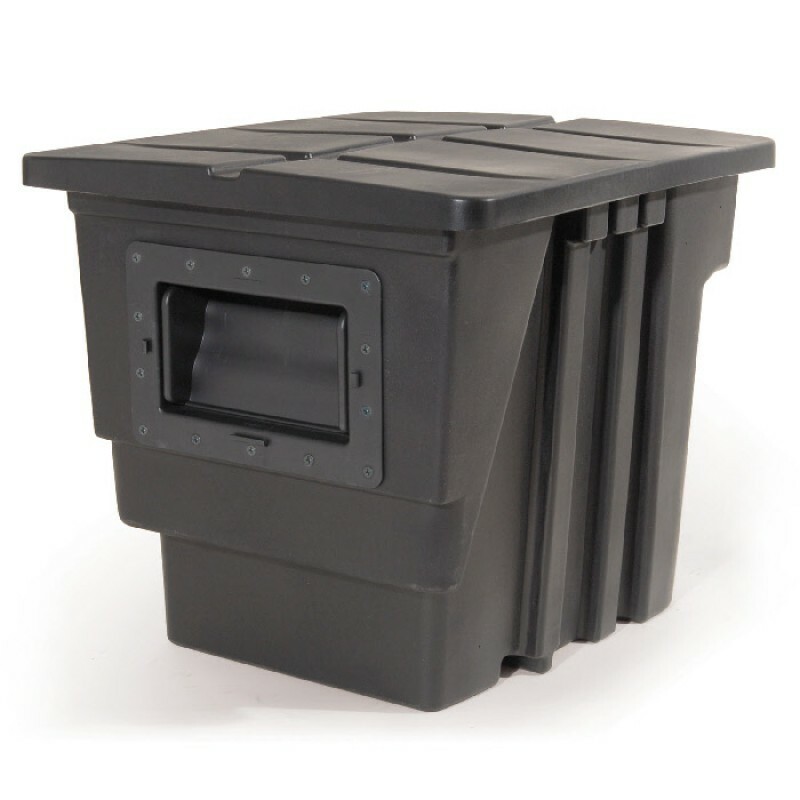 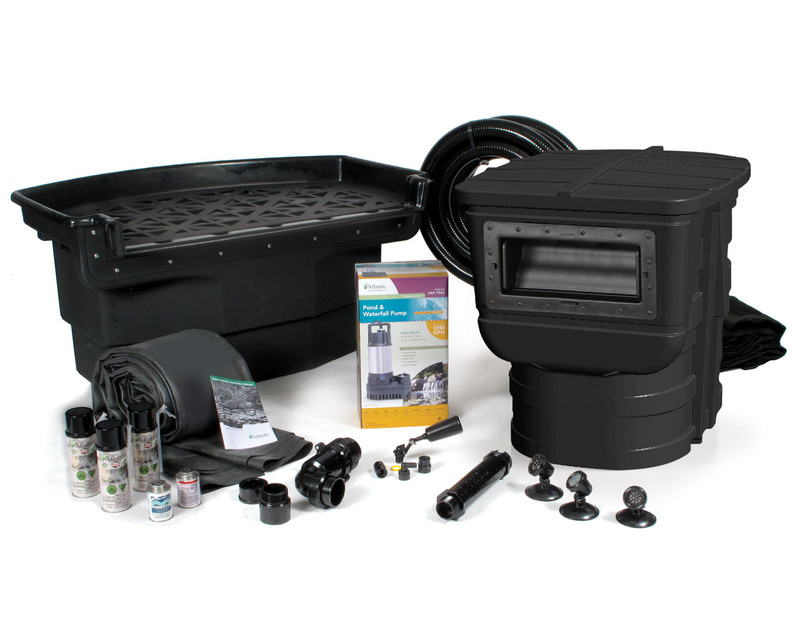 The Big Bahama™ series from Atlantic Water Gardens is a complete large pond kit that includes, skimmer, filter falls, EPDM 45 mil pond liner, underlay, pond pump, tubing, hardware and detailed instructions. 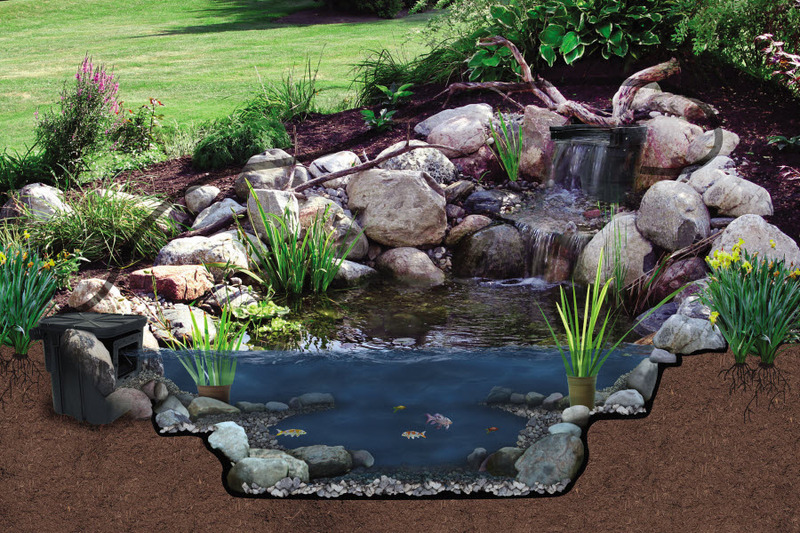 Big Bahama™ complete large pond kits from Atlantic® offer all the tools and components to easily install an affordable water feature. 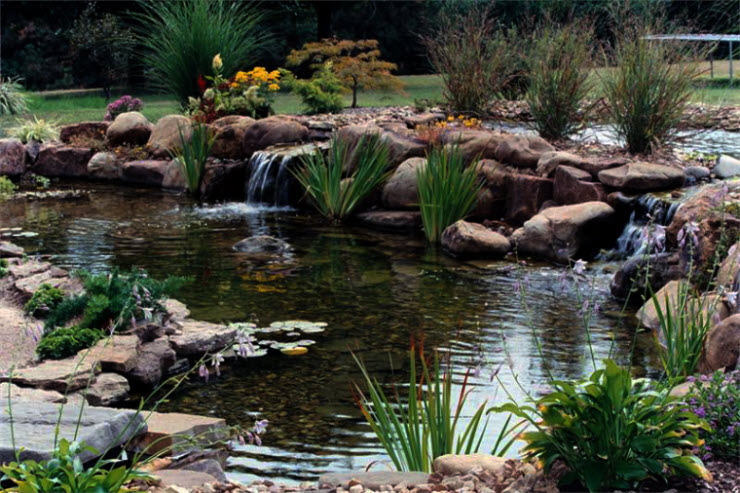 Ideal. 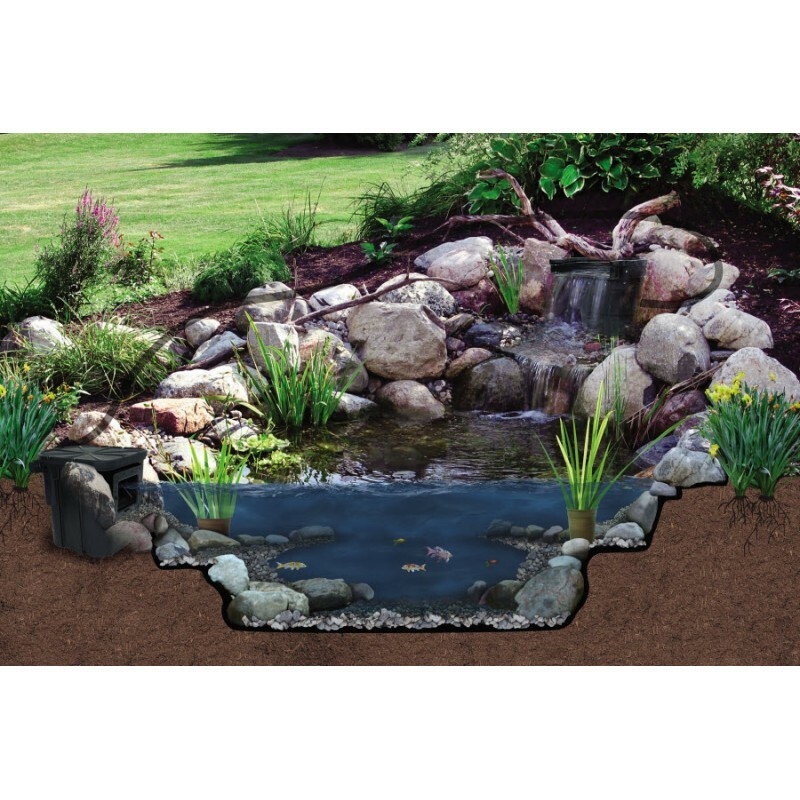 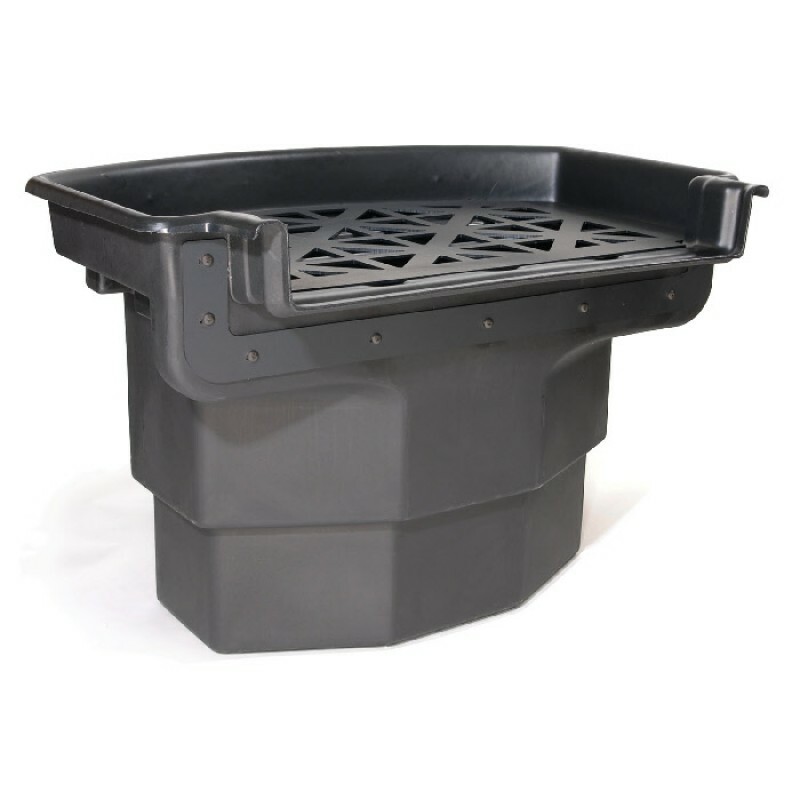 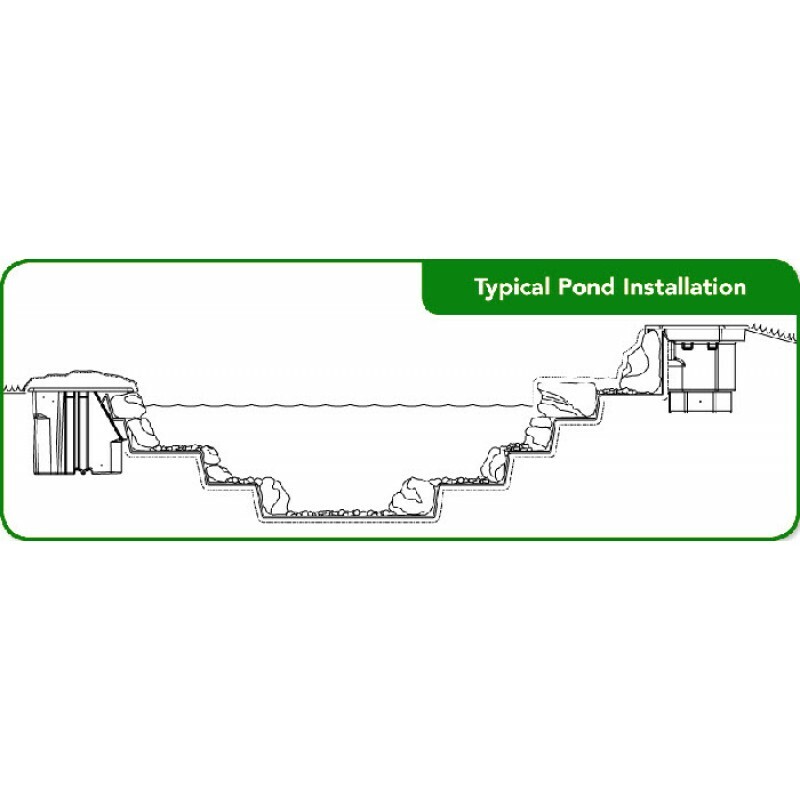 These large pond kits come in four liner sizes and will create ponds from 11' x 16' up to approximately 21' x 26' in size depending on your layout and depth. 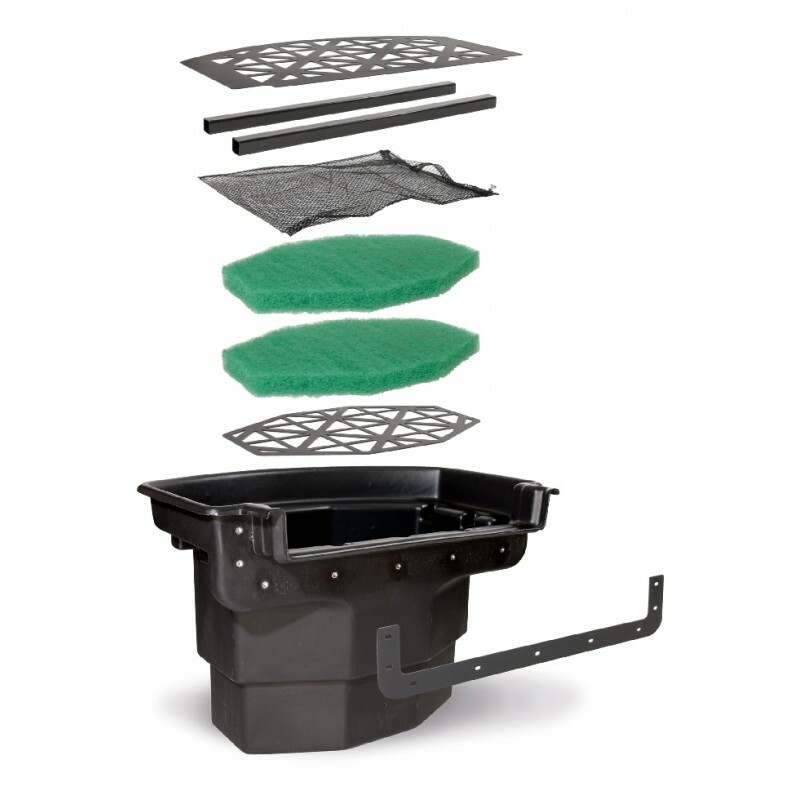 These complete kits will create a balanced ecosystem every time. 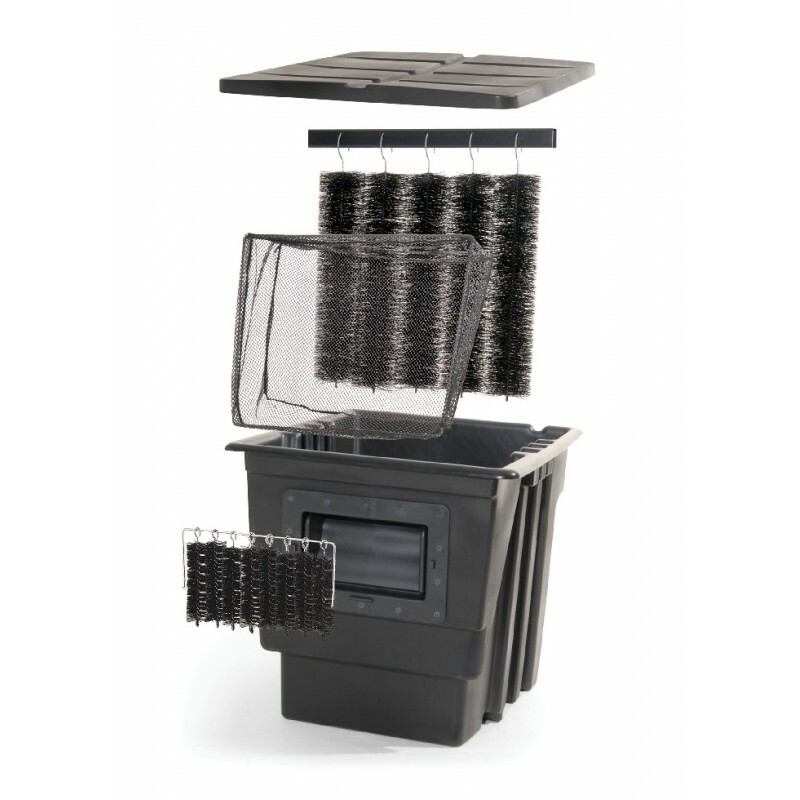 Everything is included and is shipped right to your door, shipping and taxes included within Canada. 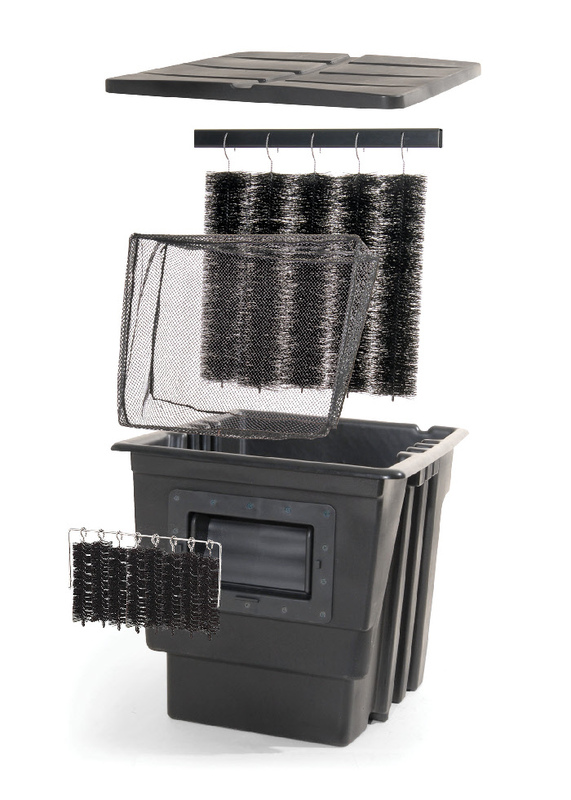 Atlantic’s Pro Series stands apart, with heavy walled construction that resists warping and crushing, stainless steel hardware that eliminates corrosion. 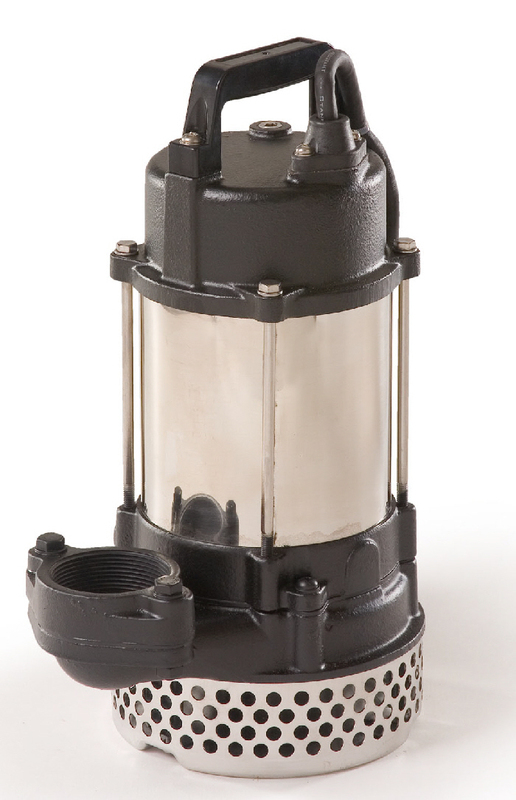 Oversized doors, weirs and fittings optimize pump performance.The Big Bahama line features innovative, practical design to minimize maintenance and callbacks, maximize pump life and time between cleanings. 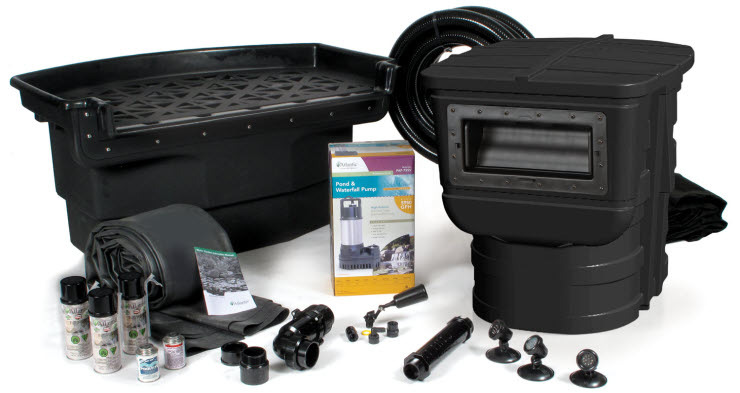 Where other products warp, crack or leak, Atlantic’s Big Bahama Pro Series keeps going. 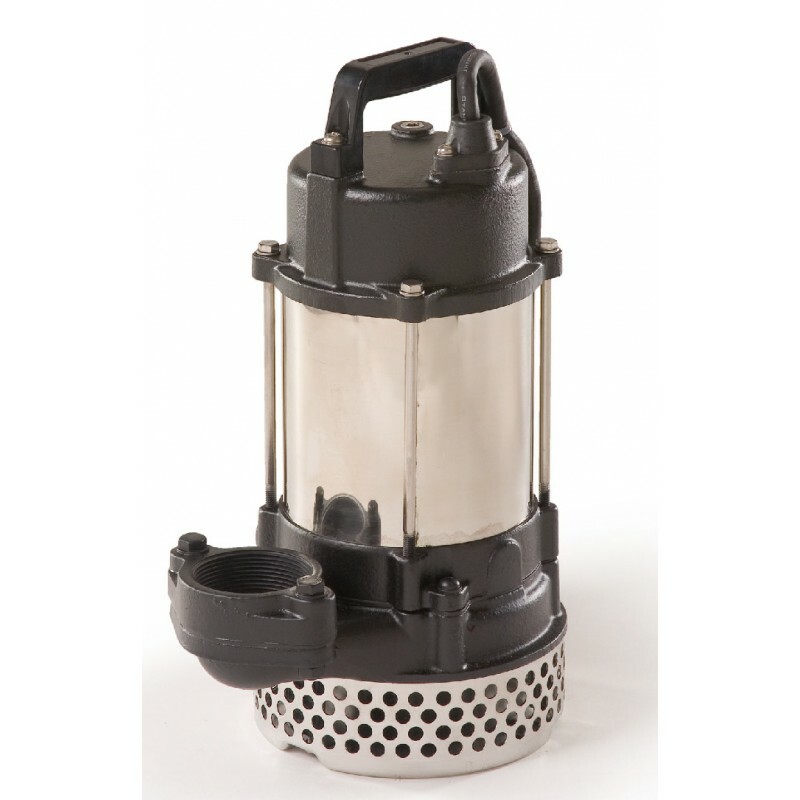 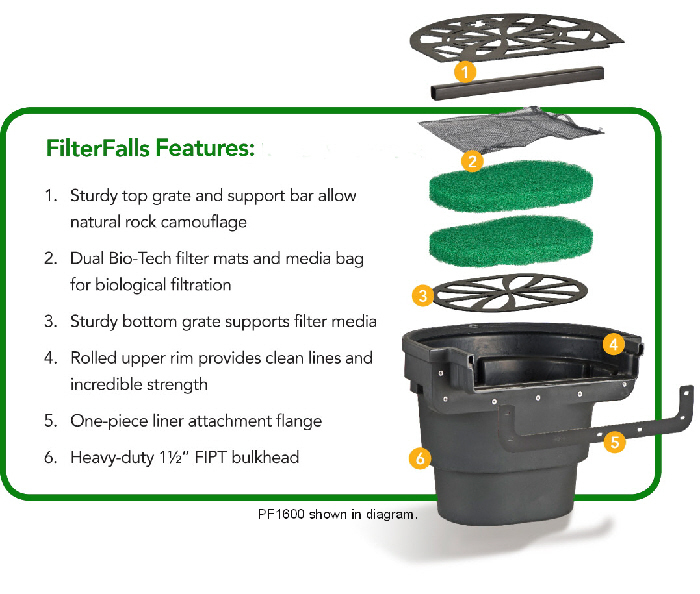 Built with heavy-duty materials designed to last, our Skimmers and FilterFalls are unsurpassed in the water gardening industry when it comes to durability and functionality.